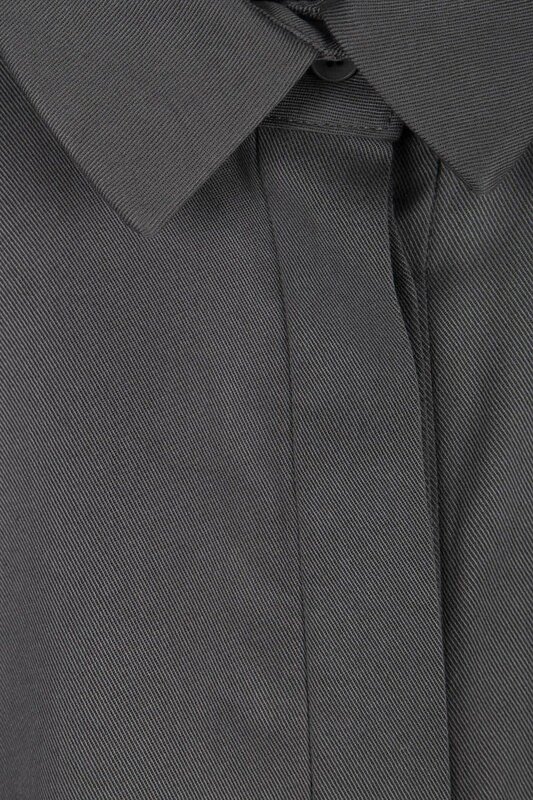 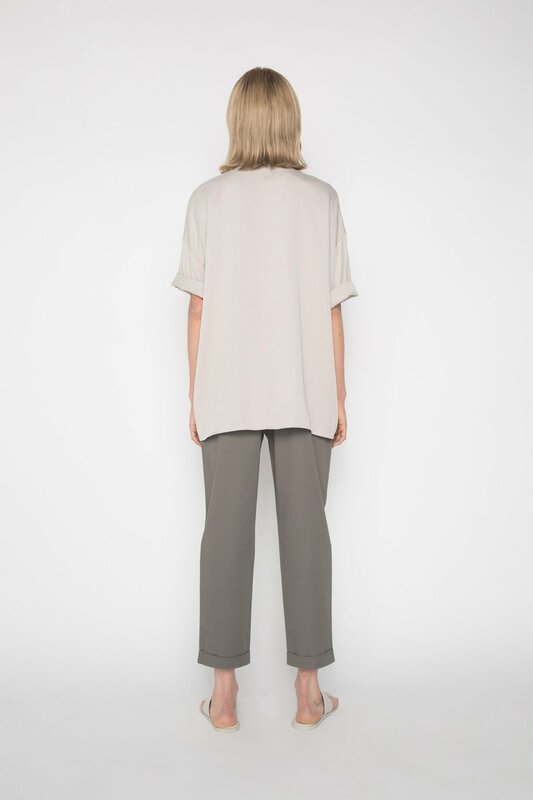 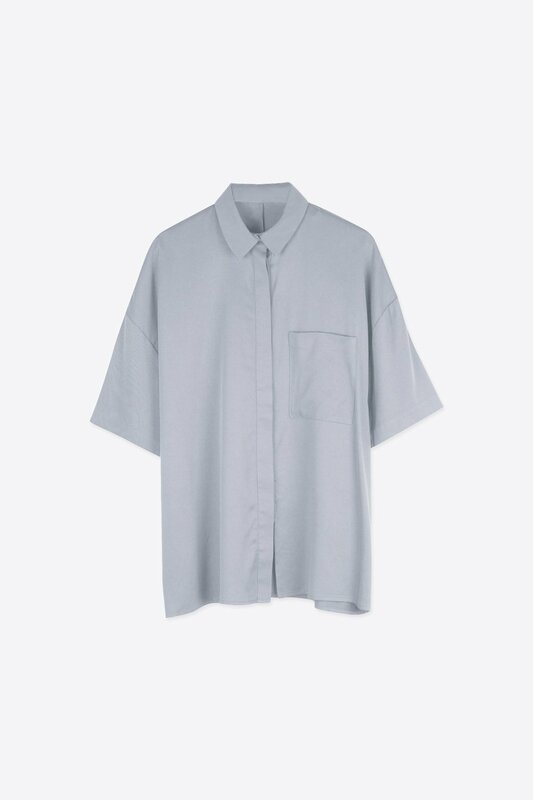 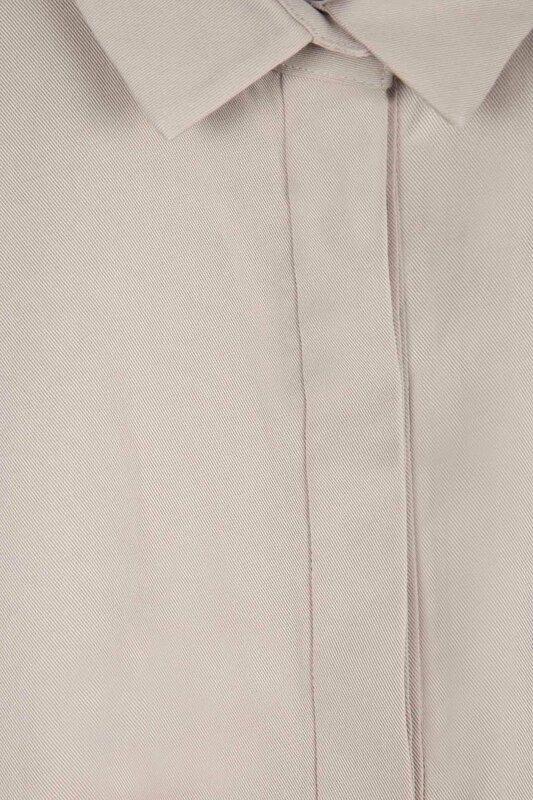 Crafted from an ultra-smooth and lightweight tencel-blend, this blouse features a hidden button-up closure, collar, and front pocket for a minimal and refined. 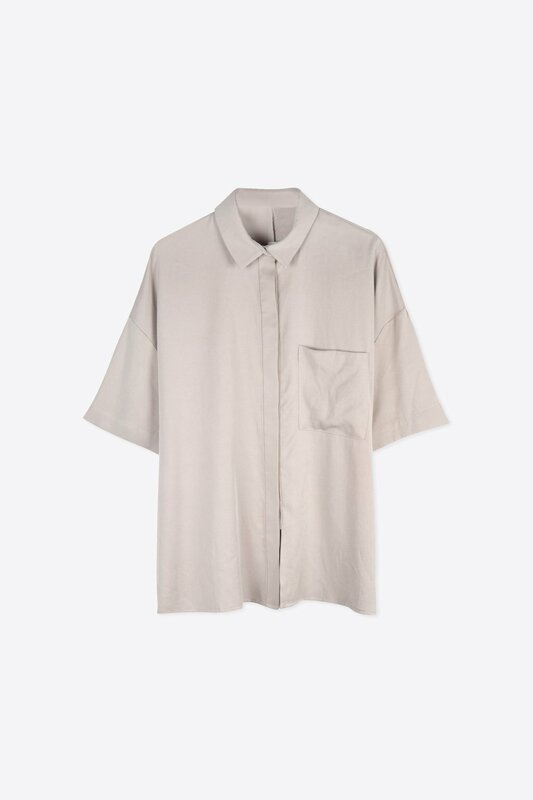 The relaxed silhouette and flowy fabric allow this piece to drape beautifully against you with movement - adding a feminine touch to this classic shirt. 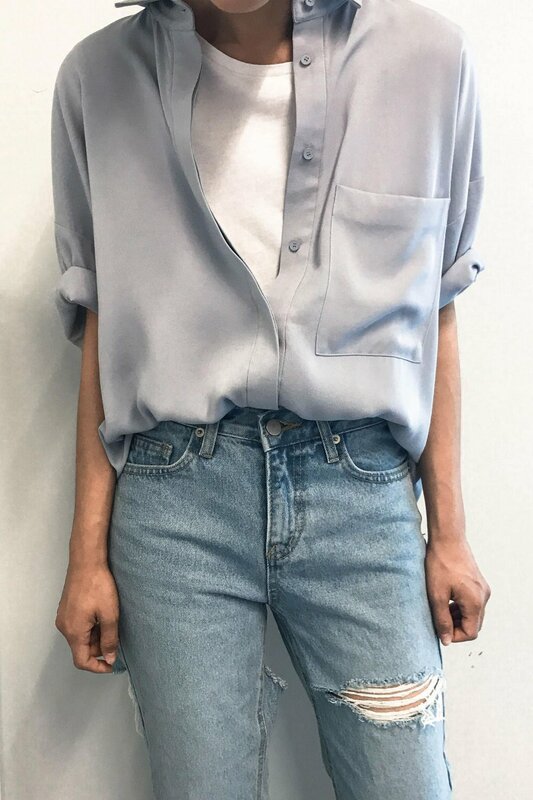 Style with a denim skirt and sneakers for a cute and casual everyday look.